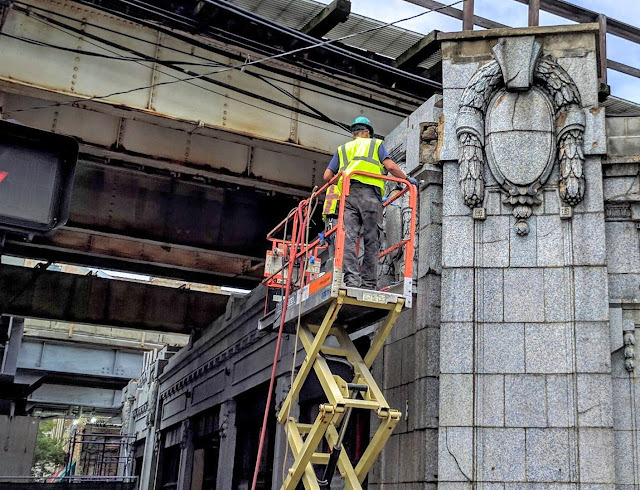 On Thursday, the exterior of the Gerber Building at the Wilson Red Line stop got some sprucing up by CTA workers. If you look closely, you can see that there are pieces of the terra cotta removed and sitting along the roof line, next to the new gray tracks. We can't wait to see the rest of the progress on the new station. 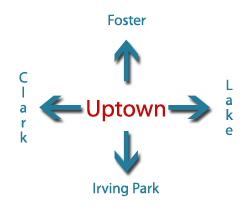 Everything -- removal of the circa 1908 metal tracks, replacement of the same, and the new station house -- is scheduled to be complete by the end of 2017.